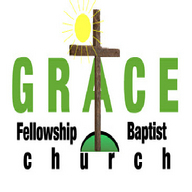 Love God, Love people is a theme commonly discussed among the leadership and staff at Grace Fellowship. Every member is encouraged to reach people from all ages and backgrounds for Christ and grow disciples while making a difference in our local community, county, state and country by lifting up God in our personal lives. Although the journey has been exciting, from meeting in a photography shop, a store front, then to God blessing us with 8-9 acres of land in Hatley, on Smithville Road where many long hours of labor have blessed us with a building, our mission has always been about people. Beginning with 33 devoted Christians our fellowship has grown to over 425 since 1999. Many blessings and answered prayers displaying God's amazing love and grace are our testimony of God's work in our personal lives and the life of our church as we are "His people" and " He is our God"! We presently have three full time staff members and many completely surrendered, called out, servants of God who serve in our church and many local ministries.